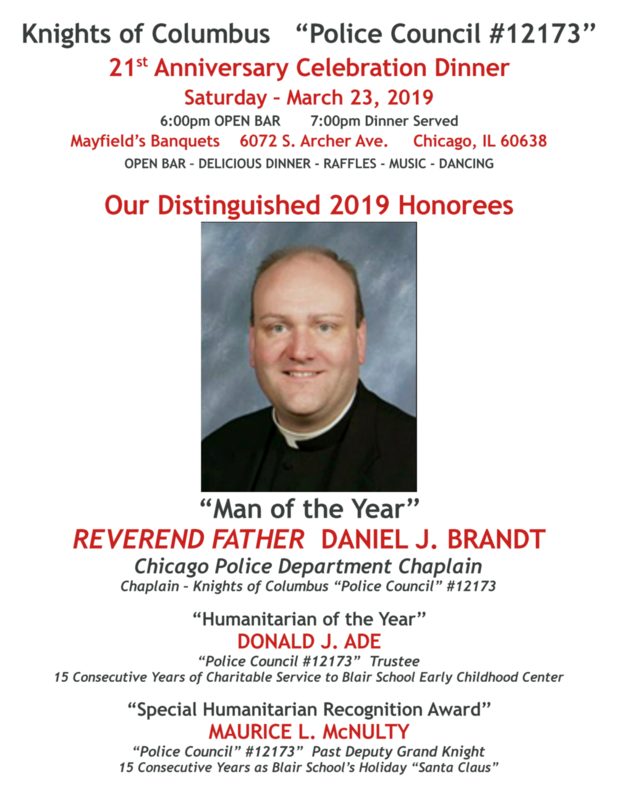 Father Dan Brandt is speaking at Holy Name Cathedral. Holy Name Cathedral to host me Thursday, 25 APR, 6:30 p.m. for a talk entitled, "Faith on the Streets." Description: Police officers perform God's work every day...often in unfavorable, unpredictable and dangerous circumstances. Their noble work is regularly scrutinized, sometimes by biased anti-police media. We will discuss how the spiritual needs of Chicago Police officers are met 24/7/365 in Chicago. The Superintendent will host a Superintendent's Speaker Series, with the assistance of the Professional Counseling Division/Employee Assistance Program (EAP). These series of workshops are in effort to promote officer wellness and ensure the mental and emotional well-being of our officers. The third seminar will consists of two parts on the same date. The first part Mental Health Awareness focuses on learning the warning signs and symptoms of specific conditions like depression, substance use, and trauma. It will also teach how to support yourself or someone else, as well as successful communication skills. It will be presented by Alexa James, MS, LCSW – Executive Director of NAMI Chicago. The second part Financial Planning focuses on financial planning, the financial life stages from the Academy through retirement, basic investing and risk protection, and how financial wellness can impact your emotional wellbeing. 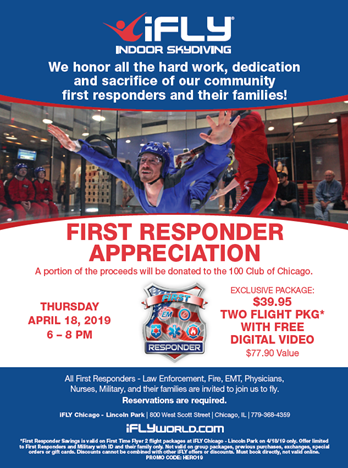 It will be presented by Michael Marron, Financial Consultant, and Gwen Hawkins, Credit Counselor, Chicago Patrolmen’s Federal Credit Union. Mental Health Awareness and Financial Planning workshops will be repeated on two separate dates, Monday, 06 May 2019 at 1700-2130 hours (3rd watch) and on Tuesday, 07 May 2019 at 0900-1330 hours (2nd watch), in the multi-purpose room of police headquarters located at 3510 S. Michigan Avenue. If interested in attending on-duty, contact your Commanding Officer for approval. Those selected members will be directed to register online on The Wire under the “What’s New” tab, no later than Wednesday, 01 May 2019 at 1200 hours. Officers attending are encouraged to share their experience with their co-workers. 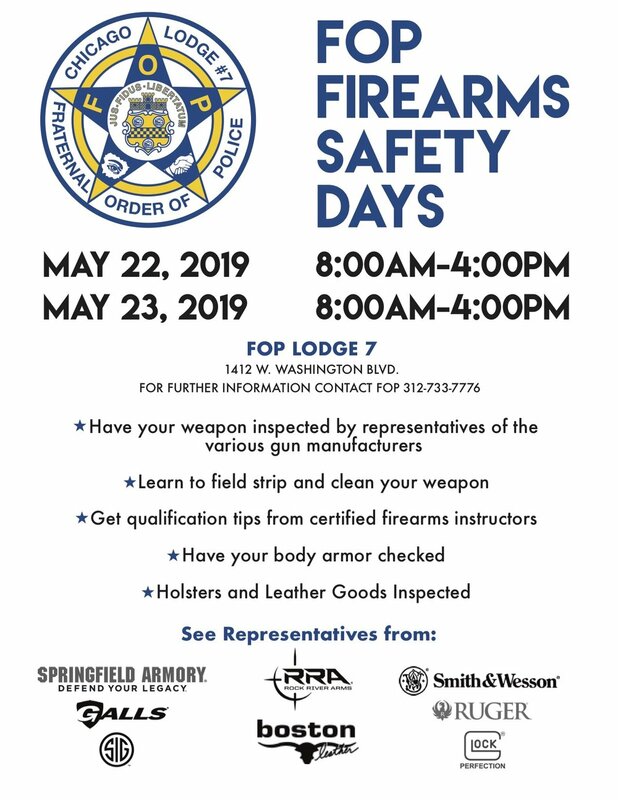 Other Department members (sworn and civilian, off-duty, and retired) are welcome to attend but must register by Wednesday, 01 May 2019 at 1200 hours, as space is limited. All on-duty personnel are required to wear their prescribed uniform of the day, based on their work assignment. Attending this seminar will not constitute a tour of duty and no overtime will be paid for those Department members who attend on their RDO. Overflow parking will be available on 07 May 2019 only, at the Indiana Avenue Pentecostal Church of God located at 3520 S. Indiana, and at White Sox Park – Lot B (enter on 34th & Shields). If there are any questions, contact Sergeant Shawn Kennedy at (312) 745-5692 or shawn.kennedy@chicagopolice.org. 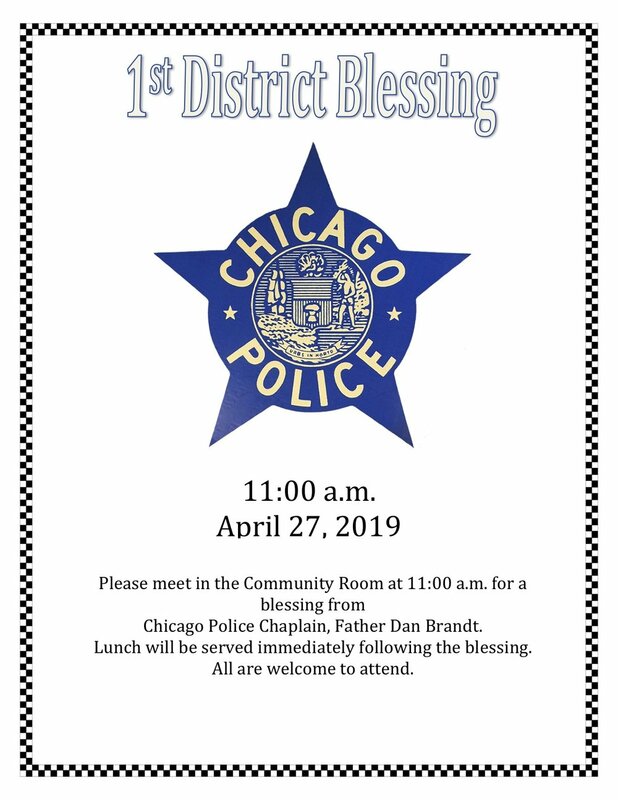 The Chaplains Section invites all sworn and civilian members to attend the Fellowship of Peace Officers in the Multipurpose Room at Headquarters on Wednesday, 03 April 2019, from 1230 to 1300 hours. Come out to hear and share words of encouragement. 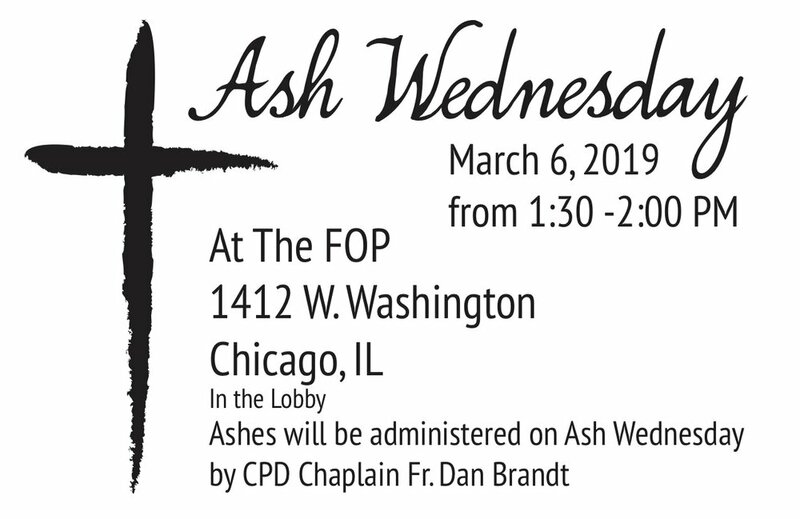 For more information, contact Chaplain Joseph Jackson at (312) 771-6684. The Professional Counseling Division/EAP offers a Divorce Support Group for sworn and civilian members of the Chicago Police Department. The weekly meetings will start back on Wednesday, 03 April 2019 at 1030 hours, and will be held at the EAP office located at 1759 W. Adams. 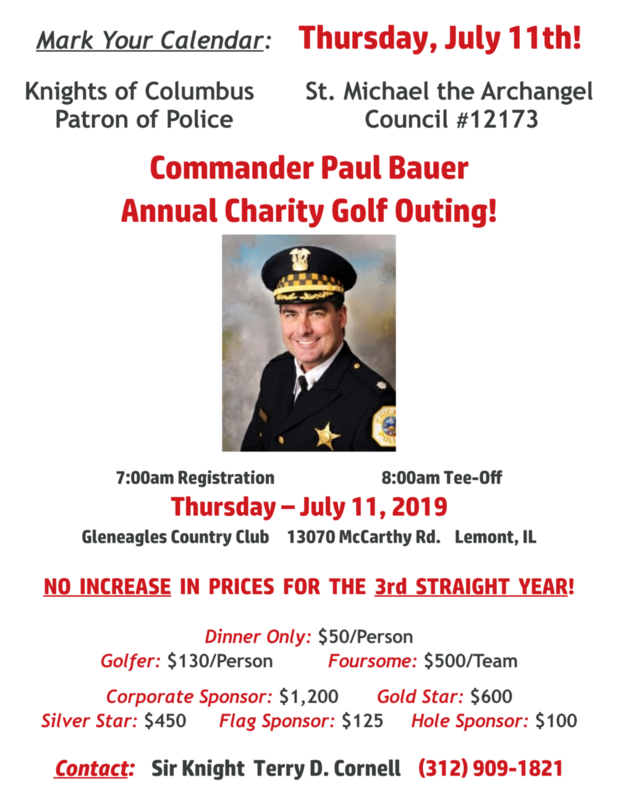 If you are interested in attending or have questions, contact Beckie Fischer at (312) 743-0378 or beckie.fischer@chicagopolice.org. The Superintendent is hosting a Superintendent's Speaker Series. These series of workshops are in effort to promote officer wellness and ensure the mental and emotional well-being of our officers. The first seminar Maintaining Resilience in the Face of the Stress of Police Duty focuses on post-traumatic stress disorder. It will be presented by Dr. Stevan E. Hobfoll Ph.D., Stress-Anxiety & Resilience Consultants, LLC. Dr. Hobfoll has authored and edited many books, including Traumatic Stress, The Ecology of Stress, Stress Culture and Community, The Imperfect Guardian, and The Evolutionary Origins of Fear Politics, just to name a few. Maintaining Resilience in the Face of the Stress of Police Duty workshop will take place on two separate dates, Thursday, 14 March 2019 at 1700-2100 hours (3rd watch) and on Friday, 15 March 2019 at 0900-1300 hours (2nd watch), in the multi-purpose room of police headquarters located at 3510 S. Michigan Avenue. If interested in attending, contact your Commanding Officer for further information no later than Tuesday, 05 March 2019 at 1200 hours. Officers attending are encouraged to return back to their districts/units and share the experience with their co-workers. 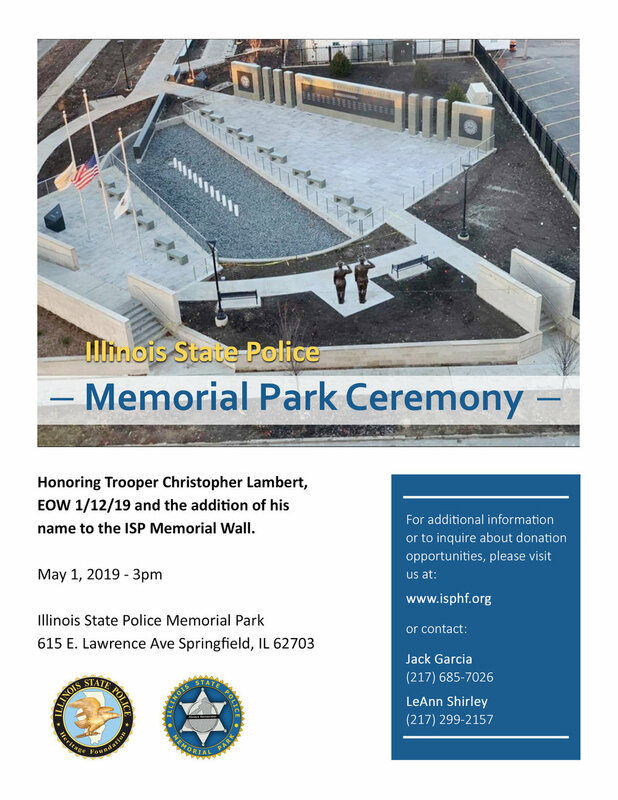 Other Department members (sworn and civilian, off-duty) are welcome to attend but must register by Tuesday, 05 March 2019 at 1200 hours with email of name, employee number, unit and contact number to Sergeant Shawn Kennedy as space is limited. All on-duty personnel are required to wear their prescribed uniform of the day, based on their work assignment. Attending this seminar will not constitute a tour of duty and no overtime will be paid for those Department members who attend on their RDO. If necessary, there will be overflow parking available at White Sox Park – Lot B (enter on 34th & Shields). 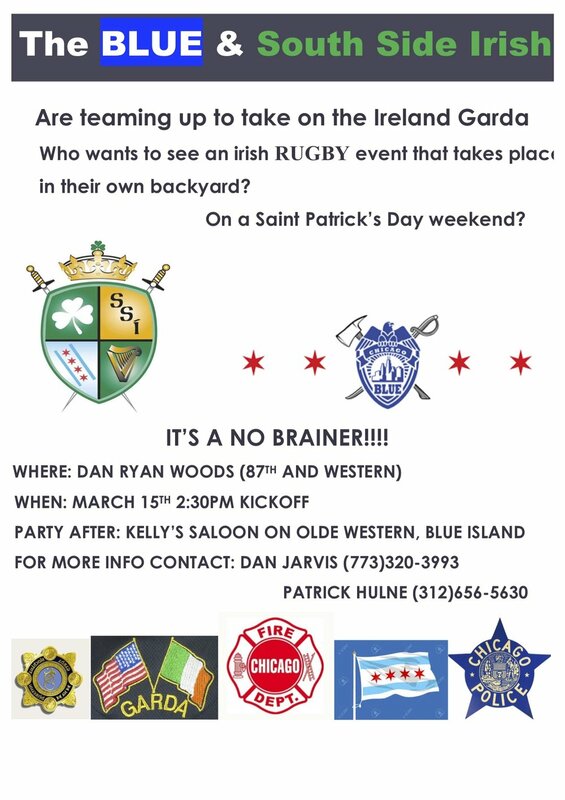 If there are any questions, contact Sergeant Shawn Kennedy at (312) 745-5692. The Employee Assistance Program (EAP) will host its first Women’s No Cop Outs meeting on Thursday, February 28, 2019 at 1900 hours. The AA meeting will be held every Thursday at St. Xavier University-Graham School of Management located at 3825 W. 103rd Street (south east corner of 103rd & Avers), in the 1st floor reading room. If you have any questions, contact Officer Ann Jaros at (312) 743-0378 or ann.jaros@chicagopolice.org. DEDICATION OF HONORARY OFFICER MICHAEL FLISK AVE.
Hone your interviewing skills and preparing a resume for the private sector. 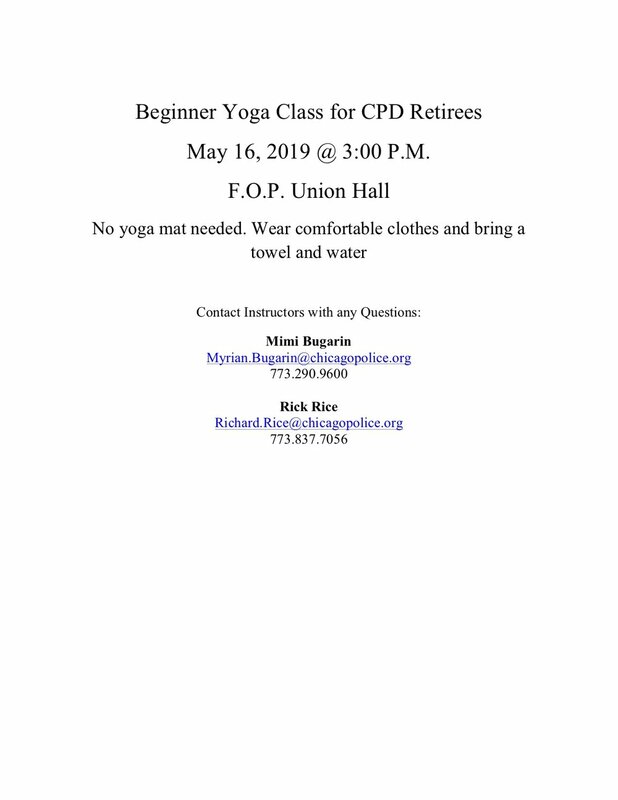 All are welcome to this free seminar presented by FOP and the Chicago Police Memorial Foundation. Presentation by Patrick O’ Meara former Chief of Police of Calumet City and Corporate Security Executive at Bank of America. Resume examples will be shared and interviewing for that next position will be covered. Registration required for attendance. Click here to Register.